Touch Screen Thermometer and Timer. Oven safe 40 inch cord for remote reading without opening the oven door. 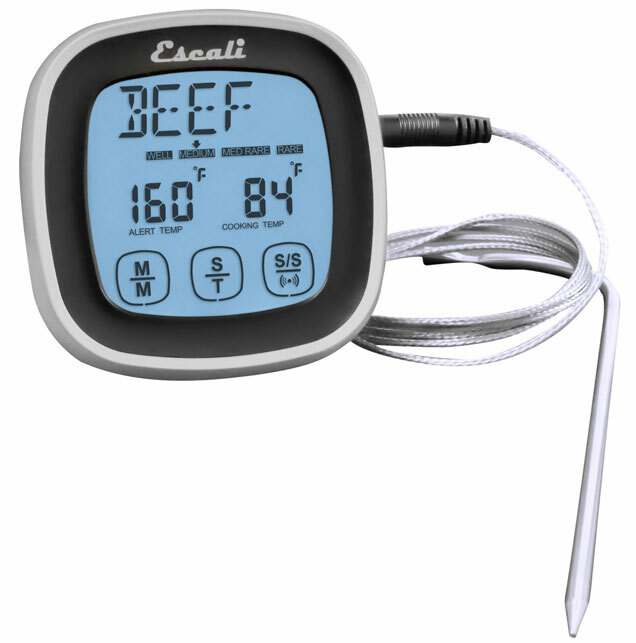 Preset target cooking temperatures for beef, pork, chicken, turkey, veal, lamb, hand and fish. Up to 99 minute and 59 second timer. Count up or down, recall last timer. Temperature range of -4 to 482 F, -20 to 250 C.